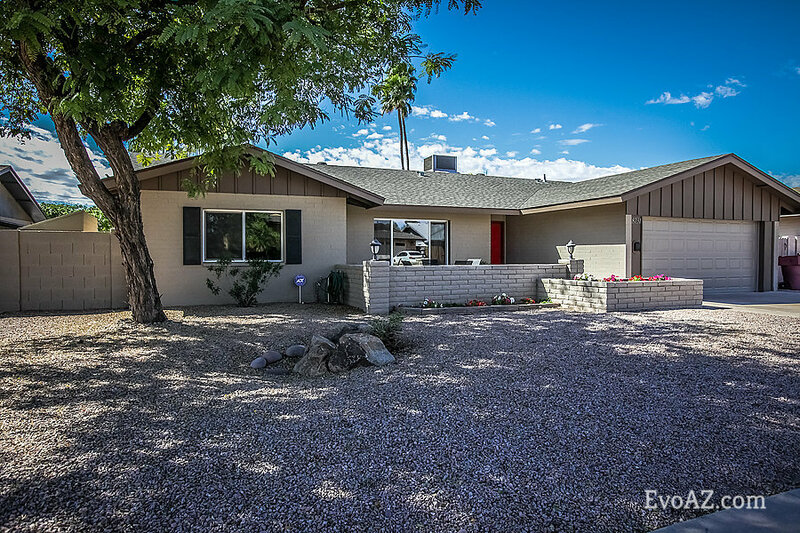 Beautiful 4 bed 2 bath home in lovely Park Scottsdale! As you walk up you’ll see an inviting front patio area perfect for morning coffees! Exterior fascia has been recently re-painted! The gorgeous interior features brand new carpeting, crown molding, and wood pergo flooring. This home includes a split floor plan, formal living room, formal dining area, and family room. Kitchen boasts beautiful maple dovetail cabinets, corian countertops, stainless steel appliances, and a breakfast bar. The large master bedroom features double door entry, a walk in closet with custom “California closets” and a private dual sink bathroom with custom tile work. All bedrooms have ceiling fans! Guest bathroom with granite countertops and dual under mount sinks! The back yard is graced with a large sparkling diving pool, an RV gate in the rear off the alley, and a side entry with space for storage. Less than 2 miles from Old Town and amazing food and entertainment. Less than 2 min from 101 on ramp, get anywhere in the valley quick and easy. Recent updates include roof and HVAC in 2010, Dual pane windows throughout, & garage Epoxy 2018. This home truly offers it all! 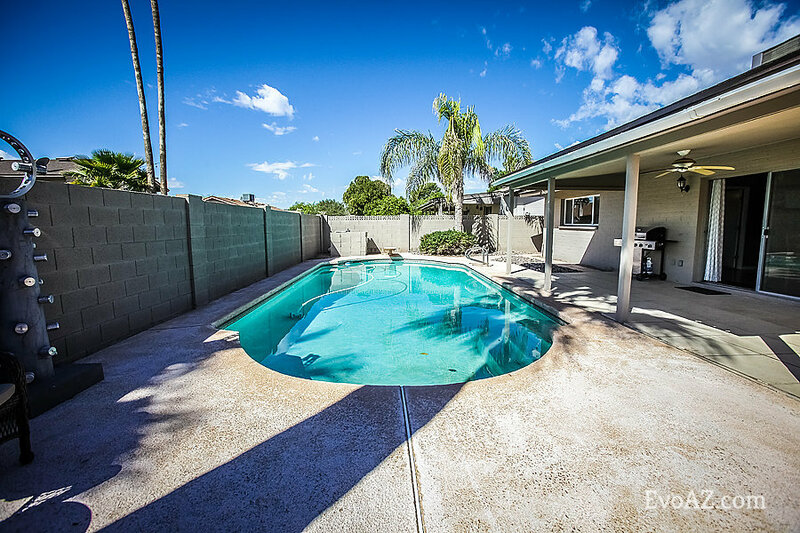 Posted on March 26, 2018 by Katie Lambert and tagged 4 bedroom home for sale in Scottdale Scottsdale home for sale with a pool Scottsdale real Estate Team Evolution Real Estate Katie Halle Lambert.